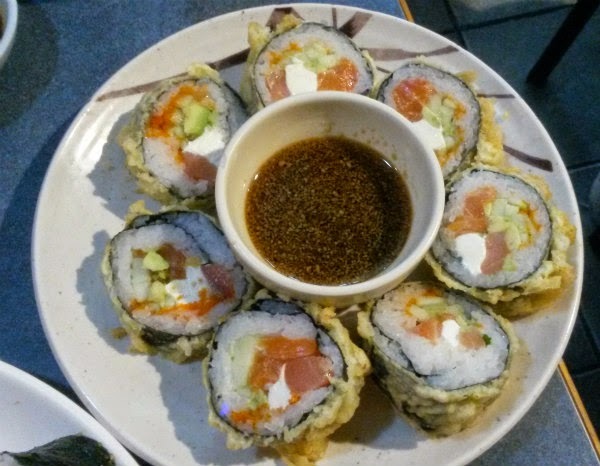 Saburo's was one of my first food reviews I did for my blog. 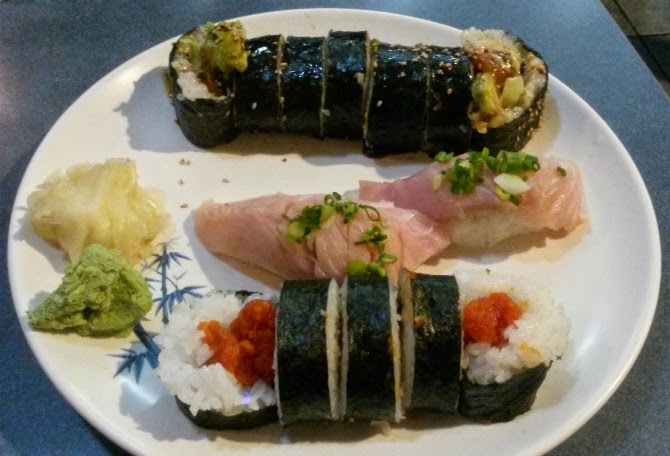 Admittedly, I hadn't been to Saburo's in eons, and I just had to go back for more. 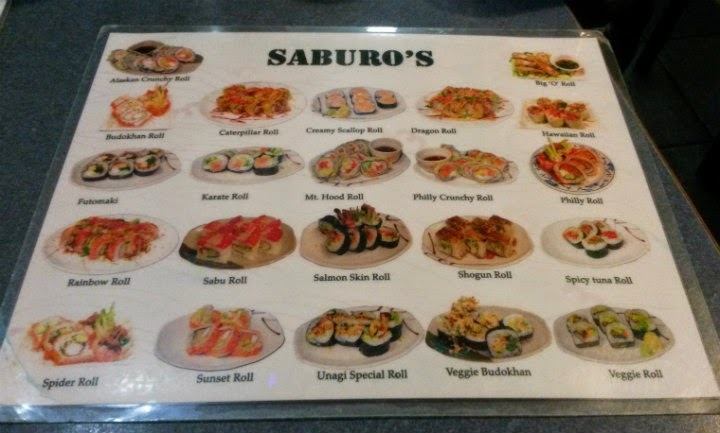 Saburo's opens at 4:30 PM on weekends. This was taken at 3:55 PM. The ever-familiar long line out the door is still there. However, gone are the days of even getting here 15 minutes beforehand to be seated. At least on a weekend in November 2014, it's safe to say that you'll need to get here a good 30 minutes before the place opens if you want to be seated -- and avoid the extra wait time. 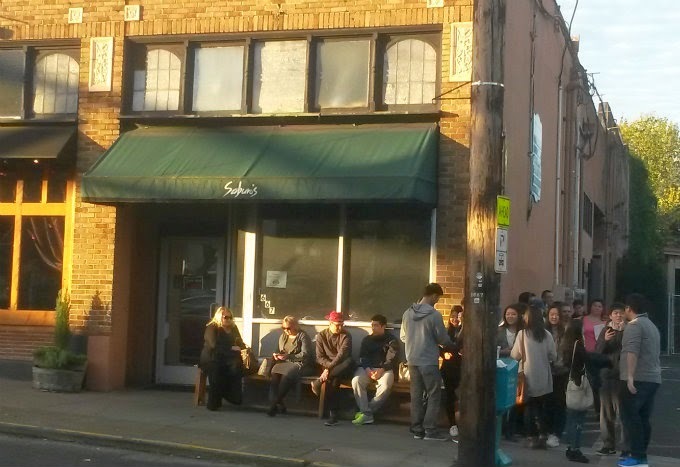 That wait time could be as little as 15 minutes or last a good hour. The inside is just how I remembered it the previous times I was here. It does feel a bit cramped at times, but in order to get a bunch of people seated and served, you'll only have one chance to order. Ideally, you'll know what you want before sitting down. The faster you get the order in, the faster you'll get your food. My friend and I probably waited a good 25 minutes for our order. 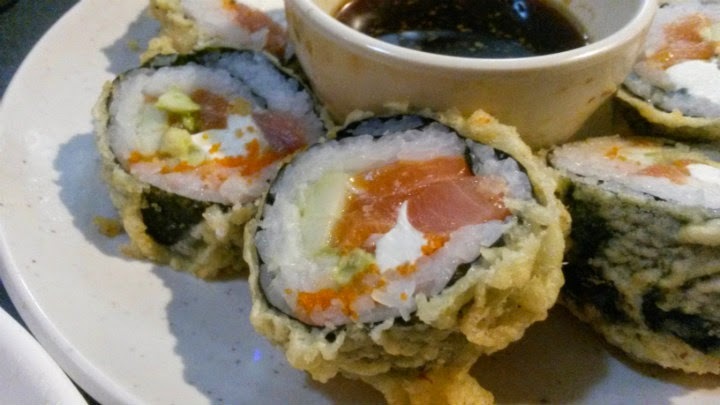 Of course, my default order has always been the 5-piece spicy tuna roll. I also got an 8-piece Shogun Roll, which has unagi and avocado inside. 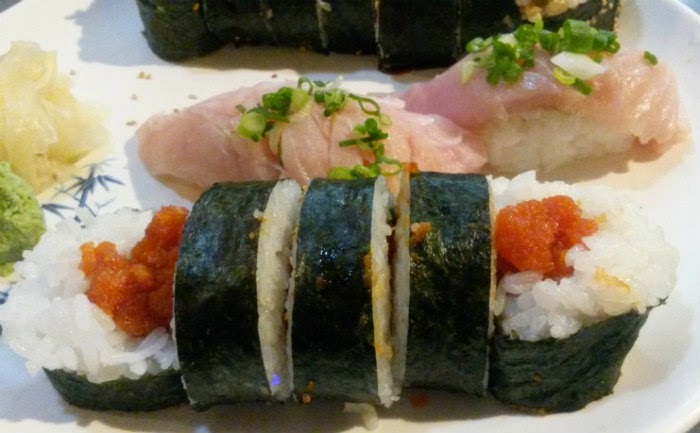 My friend wanted some toro nigiri and a deep-fried Philly Roll. 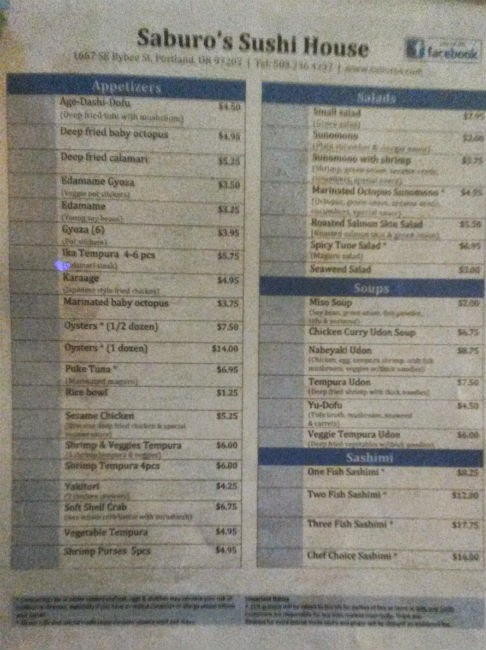 In all, it was a $30.00 bill, pretty reasonable for the amount of food. The seafood was fresh and everything was delicious. There's a reason why this place is so popular.